Between the 7th and 9th century in the area of present southern Poland, a Slavic state called Vistulans' state emerged. Its main political center was Krakow. At the turn of 965 and 966 at the court of Duke of Bohemia Boleslaw I, the Cruel Arab merchant Ibrahim ibn Jakub was visiting. He wrote notes about his journey where, which for the first time mentioned the name of Krakow (Krakow, Karakau, Karako, Karak, Krakou). 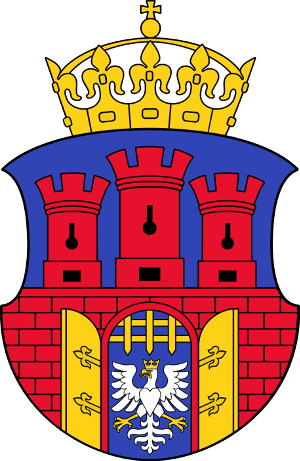 Krakow was granted city status with the Magdeburg law in 1257, by Prince Boleslaw. This date is considered as the beginning of the city of Krakow, although human habitation in this area were established already in the 9th century. Krakow's Old Town is a unique medieval urban complex, formed soon after the location of the City, and unchanged for centuries. It was one of the first 12 World Heritage sites in the UNESCO List in 1978. The city plan, inscribed in a square, is characterized by a regular network of streets intersecting at right angles. This is referenced in the logo of the city. All roads in the city run from the city walls to the market or from the city walls on one side of town to the city walls from the opposite side. In the middle of the Old Town a market has been designated - the largest in medieval Europe, with dimensions of 200 x 200m . Krakow's Old Town is one of the worldâ€™s few preserved examples of medieval urbanistic thought. In 1364 international congress was held in Krakow. At the invitation of King Casimir the Great the Holy Roman Emperor and Czech King Charles IV, the Hungarian king Louis the Great, Danish king Waldemar IV, King of Cyprus Peter I de Lusignan and Otto IV Witelsbach Margrave of Brandenburg visited Krakow. Distinguished guests were received at the feast in the Nicholas Wierzynek - Krakow patrician, merchant and royal banker - restaurant. The Wierzynek restaurant located in the Main Market Square has been operating till nowadays. 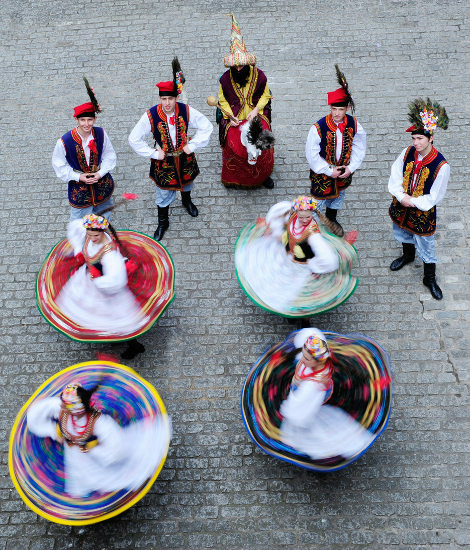 In 16th century Krakow was a famous center of musical life. The band of rorantists and also famous lutenist, Valentine Bekwark champion (1507-1576) coming from Transylvania were living in Krakow. Under the rule of the Jagiellonian dynasty, Krakow was the international center of culture, science, art and literature (Krakow is a UNESCO City of Literature). From the 14th century Krakow is the seat of the Jagiellonian University, which was opened as the Krakow Academy in 1364. Stańczyk (1480-1560), the court jester of the king Sigismund I gained fame not only thanks excellent jokes because of his deep wisdom. This is why he is considered more the sage than a comedian. The higher tower of the St. Mary Church in Krakow from the Middle Ages belonged to the city, serving as watchtower and it was called hejnalica (a bugle). The guard watching at the tower was obliged to play the bugle call, which was the password to open and close gates. The bugle call is been played since 1392 to this day - every hour resounds four times in different parts of the world. Limestone rock at the foot of the Royal Castle at the Wawel Hill is the most famous cave. According to the legend a dragon was living there. Since 1918 the cave is open to the public - one can descend 135 steps from the Wawel Hill to the boulevard where fire-breathing dragon - a sculpture of Bronisław Chromy - is located.